This term the maths students have competed in two Maths Challenges. The first was the UK Mathematics Trust Team Challenge Regional Final, in which we entered a team of four Year 8 pupils. 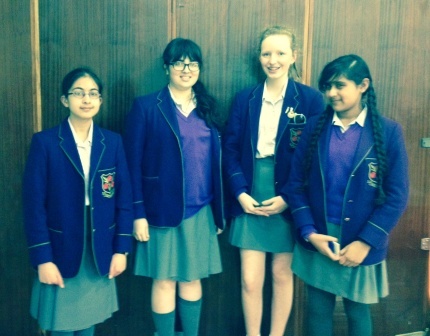 Louise Jaitly, Hasna Ghafoor, Clara Slater and Ritu Bhattacharyya represented Westholme this year. The competition combines mathematical, communication and teamwork skills and offers another way to develop pupil’s enjoyment of Mathematics. The team did well and had a really fun day. They came 20th out of 31 schools from all over Lancashire and Cumbria. 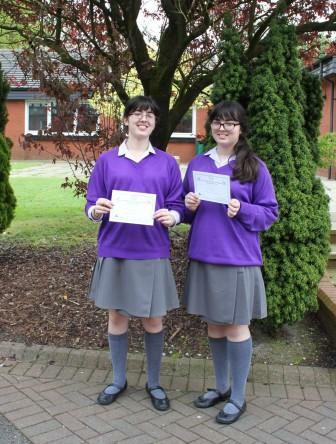 After exceptional performances in the UKMT Intermediate Mathematics challenges both Kathryn and Louise Jaitly qualified for the European Kangaroo Challenge 2014. Only a small percentage of students reach this level and they both received a certificate of participation.